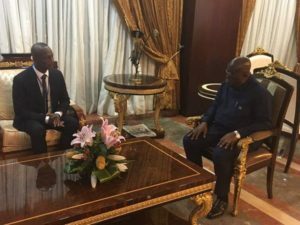 Appiah's visit to the seat of government precedes a similar trip to the Ministry of Youth and Sports on Monday where he interacted with the Sports Minister Isaac Asiamah and other officials of the ministry. The former Kumasi Asante Kotoko defender will also be in charge of the local Black Stars will begin his official duties on May 1. Appiah arrived in the country last Friday after leaving his post as coach of Sudanese side Khartoum after two and a half seasons in charge. To read the full piece from Ghana SoccerNet, click here.